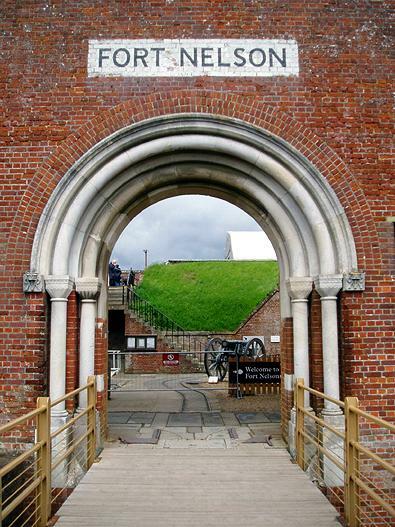 Fort Nelson was built in its strategically advantageous position high above Portsmouth’s famous harbour nearly 150 years ago. It is today home to the Royal Armouries’ collection of canons and guns from all around the globe which was previously housed at the Tower of London. In 1979, the Ministry of Defence sold Fort Nelson to Hampshire County Council. It was intended that the building would be preserved but this was made far easier in 1988, during the restoration process, when the Royal Armouries signed a lease and agreed to convert it into a museum. The extraordinary collection was opened to the public in 1995 by the Duke of Wellington. There are examples of artillery from most ages and countries, including lots from the Second World War. However, the most interesting exhibits are the captured sections of the 156m Iraqi Supergun. Following the Royal Commission of 1860, Lord Palmerston, with support from Queen Victoria, put into action a strong defence policy against the French. Our great victories at Trafalgar in 1805 and Waterloo in 1815 did not put invasion fears to rest for good so a series of forts were built all along the south coast to dissuade the French from attaking. The defence of Portsmouth and its Royal Dockyard was massively important which explains the many different forms of fortification around the city. Fort Nelson took its name from the nearby monument to Horatio Nelson. Its restored guns point inland to protect other forts and Portsmouth from attack by land. The brick structure is similar to Newhaven Fort which was built during the same period. 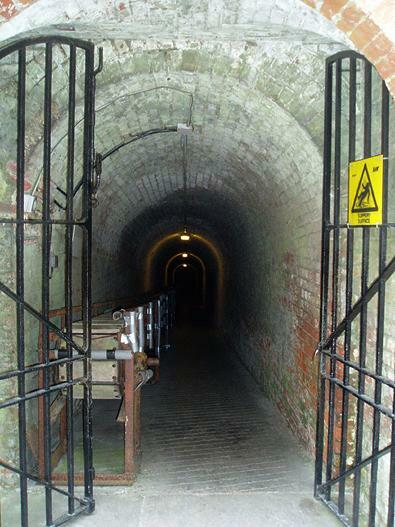 Newhaven Fort is the largest work of defence ever constructed in Sussex and was vital during the two World Wars. Like Fort Nelson, Newhaven Fort is also an extremely popular visitor attraction. Britain was last invaded in 1066 so I’m sure that we must be doing something right! The building of the greatest works of fortification ever undertaken in this country during peacetime became known as “Palmerston’s Folly”. There is so much to see in Portsmouth – I was only able to catch a glimpse of the harbour’s recently-opened Spinnaker Tower far in the distance. For that reason, I will avoid making comparisons with my beloved Brighton & Hove just yet as I intend on visiting again shortly. Watch this space for a verdict on which of the two historic cities has the best buildings!